David Bowie’s new stage musical, “Lazarus”, will see its world premiere this fall in New York and include new songs written by the singer. Co-written by Bowie and Enda Walsh, the production – directed by Ivo van Hove (Hedda Gabler, More Stately Mansions, Obie Awards) – is inspired by the 1963 novel, “The Man Who Fell To Earth” by Walter Tevis, and centers on the character of Thomas Newton, previously portrayed by Bowie in the 1976 sci-fi screen adaptation directed by Nicolas Roeg. 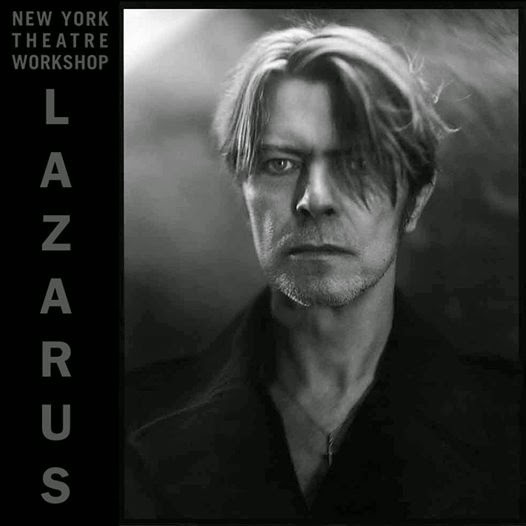 “Lazarus” will features songs specially composed by Bowie for the stage production as well as new arrangements of previously recorded songs. The musical will begin performances at the New York Theatre Workshop in Winter 2015 as part of its 2015/16 season. Last fall, Bowie released “Nothing Has Changed”, a collection spanning material from his 50-year career presenting new songs alongside unreleased tracks and greatest hits.